Take greatness to the next level with the first compact, full frame DSLR engineered by PENTAX for outstanding performance, operability and affordability. The K-1 combines the performance of a full frame 35mm digital camera with the unique PENTAX original features you love - all in a rugged, compact body. Designed to move in ways never before imagined is the new Flexible Tilt-Type LCD Monitor - a first for any DSLR camera. 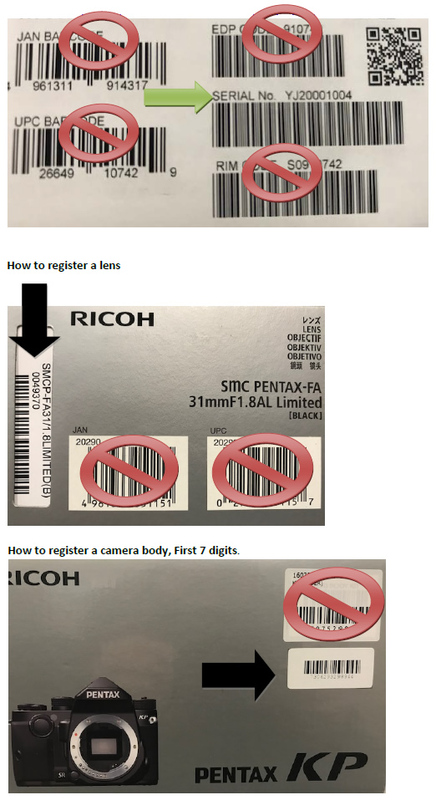 Unique PENTAX-original features and technologies that photographers have become accustomed along with extreme durability. Check out these great lenses to really get the most out of your camera. The K-1 takes greatness to the next level. As the first full frame DSLR engineered under the PENTAX brand, the K-1 brings outstanding performance, operability and affordability to photographers. With its large 36.4 megapixel CMOS image sensor, the K-1 incorporates all of the performance of a high-resolution full frame 35mm digital camera as well as all of the unique PENTAX-original features and technologies that photographers have become accustomed to, in a compact, rugged, weather-resistant body. The K-1’s newly designed, 14-bit PRIME IV image processing engine significantly improves processing speed, while an improved noise-processing algorithm provides unprecedented performance in shadows or low light shooting where high ISO settings are critical. The Pixel Shift Resolution System with new Motion Correction technology automatically detects and compensates for moving objects in the scene. The K-1’s SR II 5-axis Shake Reduction system provides consistent, precise operation of the larger full frame sensor with all compatible PENTAX interchangeable lenses. The newly designed SAFOX 12 33-point AF sensor includes 25 cross AF points and three F2.8 luminance flux linear sensors. The APS-C Crop Mode allows for use of APS-C sensor-designed lenses on the full frame K-1, giving photographers added flexibility in their lens options. With the built-in GPS with ASTROTRACER, easily track and photograph celestial objects. The Cross-Tilt LCD display offers the ultimate in LCD flexibility and is viewable from any angle, while the Operation Assist light function offers LED illumination on strategic locations of the camera body, for easier operation in challenging lighting conditions. The K-1 features an AA filter-less design that prioritizes image resolution and a new PRIME IV imaging engine that’s capable of 14-bit RAW file output. The K-1’s unique full frame sensor and imaging engine design allows for super-high-sensitivity shooting up to ISO 204,800. The PENTAX-developed SR II (Shake Reduction) five-axis mechanism enables accurate control of the large full-frame image sensor with all compatible PENTAX interchangeable lenses* at a compensation range of up to 5 shutter steps. In addition to camera shake caused by pitch and yaw, it effectively compensates for camera shake caused by horizontal and vertical shift, as well as camera shake caused by roll, which is difficult to control with lens-installed shake reduction mechanisms. Even when taking a panning shot, this system automatically detects the direction of the camera’s movement, and efficiently controls the SR unit to always produce the best image possible. The K-1’s SR unit’s flexible design tilts the image sensor in all directions, offering a host of handy shooting functions including: Automatic Horizon Correction which automatically levels the horizon; Selectable AA Filter Simulator which replicates the effect of an optical low-pass filter by removing moiré; Composition Fine Adjustment which allows you to fine tune your composition without having to re-adjust your tripod; and ASTROTRACER which simplifies advanced astronomical photography using the built-in GPS module. * Lenses compatible with this mechanism: K-, KA-, KAF-, KAF2- and KAF3-mount lenses; screw-mount lenses (with an adapter); and 645- and 67-system lenses (with an adapter). Some functions may not be available with certain lenses. The K-1 features a newly designed, flexible tilt-type 3.2-inch LCD monitor, which tilts horizontally, vertically or diagonally with a single action, without deviating from the lens’s optical axis. It features a tempered-glass front panel for added durability and a unique air-gapless construction to effectively reduce reflections. A new Outdoor View Setting mode allows the user to instantly choose the desired monitor brightness level with a single push of a button. The SAFOX 12 AF sensor module features 33 AF sensors (25 cross-type sensors positioned throughout the frame). The center sensor and the two sensors located just above and below it are designed to detect the light flux of an F2.8 lens, making it easy to obtain pinpoint focus on a subject when using large-aperture F2.8 lenses. The K-1’s Pixel Shift Resolution System** captures four images of the same scene by shifting the image sensor by a single pixel for each image, and then synthesizes them into a single composite image. It delivers super-high-resolution images with more truthful colors and much finer details than those produced by conventional full-frame image sensors. The motion correction function*** automatically detects and corrects for moving objects during the capture process, in order to accommodate a wider range of scenes and subjects. ** When using this system, the user is advised to stabilize the camera firmly on a tripod. When a moving subject is captured in the camera's image field, its image may not be reproduced clearly, either in part or as a whole. *** The movement may not be sufficiently corrected when the object is moving in a certain direction and/or pattern. This function does not guarantee that the movement is properly corrected with all subjects. The K-1’s advanced PENTAX Real-Time Scene Analysis System performs near instant analysis of exposure, color, movement and other factors. Combining with a breakthrough artificial intelligence technology called deep learning, the K-1 instantly optimizes settings for even the most difficult shooting situations. Newly developed for it’s 35mm full-frame design, the K-1’s optical viewfinder provides a nearly 100-percent field of view and an approximately 0.7-times magnification. A Natural Bright Matte III focusing screen allows ease of focusing and a true-to-life rendition of defocused areas in the viewfinder image. The K-1 has a larger shutter unit that easily accommodates the camera’s full-frame image sensor and provides high-speed, high-accuracy control of the mirror unit. A high-speed data transmission system incorporated in the PRIME IV imaging engine allows the user to continuously record as many as 17 images in the RAW format (or a maximum of 70 images in the JPEG) in a single sequence, at a top speed of approximately 4.4 images per second. Operation assist light function provides LED lights above the lens mount, behind the LCD monitor, at the memory car slot, and at the cable switch terminal to help facilitate fast and easy operation in poorly lit settings. The key lock function prevents erroneous operation of the four-way controller and other exposure-related control buttons. The Smart Function allows users to swiftly choose and set desired functions using just the function dial and the set dial on the camera’s upper panel, without referring to the menu screen on the LCD monitor. Constructed of sturdy yet lightweight magnesium alloy with the inclusion of 87 sealing parts in the body, the K-1 also boasts a dustproof, weather-resistant and cold-resistant construction. - Compensation of various parameters: lens distortion, lateral chromatic aberration, diffraction, and brightness level at image-field edges. Fringe effect compensation is also available in RAW-format processing. Recording time Up to 25 minutes or 4GB; automatically stops recording if the internal temperature of the camera becomes high.